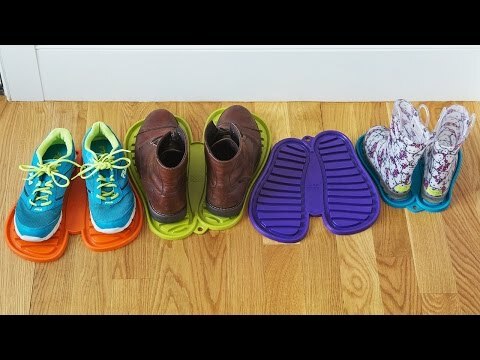 Keep muddy, drippy shoes off the floor and on something vibrant. These large shoe trays look great, keep the floor clean, and make kids and adults want to stay tidy. The flexible grooves catch water and are easily washed off in the sink. Dimensions: 14.75" x 14.57" x 0.47"